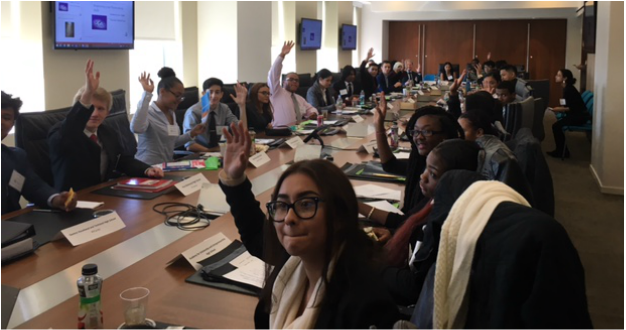 On October 14th, 2016, NYC VE Chief Executive Officers gathered at 30 Rock for the annual CEO Summit, hosted by Deloitte & Touche LLP. This event is designed to expose the CEOs of New York City VE firms to the various aspects of running a business and leading a team. The young executives in attendance were introduced to leadership strategies to deal with practical issues in management and business planning. 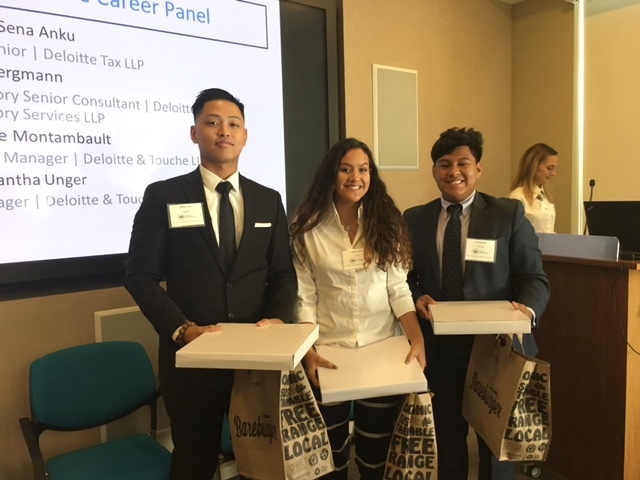 The three winners each took home a Deloitte portfolio and a $50 Bareburger gift card! 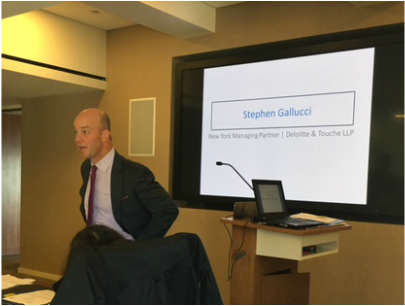 After an energizing start to the day, the students got a chance to hear some words of wisdom from Deloitte & Touche’s very own Stephen Galluci, the New York City Managing Partner. Below are a few of the many interesting questions and answers that were discussed. Gallucci: I love coming to work because I love the people I work with. I love the client group. It’s a very dynamic work environment. Gallucci: Deloitte looks for self-starters [meaning, people who are sufficiently motivated or ambitious to start a new project]. Expose [to your team] that what you’re trying to achieve is in their best interest. [And as a leader,] don’t be afraid to fail. Gallucci: Every leader adjusts his or her style for each person. Recognizing what style you need to use for each person [is a vital skill in being a good leader]. [Figure out] how you can be of help to a particular person. After Mr. Gallucci’s presentation, the students were introduced to a panel of Deloitte employees who spoke about their different careers, life experiences, college experiences, and how all those things came together to get them where they are now. In addition, New York Sales Managing Director, Michael Mead, led an inspiring open discussion touching on various important topics within leadership: how to be an introvert or extrovert leader, what defines a successful leader, and how to work better with your team. Former VE Alums visited the current CEOs to connect their VE experiences with their current or previous work and college experiences. Towards the end of the informative day, we asked students to think about their personal expectations, their company’s challenges and goals, and how they will use what they learned to better prepare themselves for their executive role. Thank you Deloitte & Touche for hosting us and giving our students such valuable insight on leadership!